As one of the most prolific goal scorers in NHL history, Brett Hull hockey cards and autographed memorabilia will always have a place in the hobby. Scoring over 500 goals in the NHL has its privileges. With the pedigree of being the son of Hall of Famer Bobby Hull, it's unthinkable as to why so many teams initially passed on the sniper. Hull would not be drafted until the 117th overall pick in the 1984 NHL Draft despite being eligible two years earlier. Upon his retirement, in 2005, Hull was third on the all-time scoring list with 741 goals. Not bad for a sixth round draft pick. 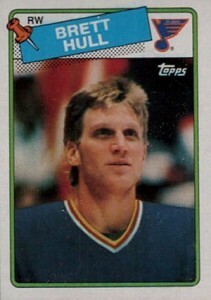 Brett Hull has two rookie cards, 1988-89 O-Pee-Chee and 1988-89 Topps Hockey. Additionally, collectors are also fond of his pre-rookie cards, of which he has several. One of the most popular ones is his 1984-85 Minnesota-Duluth Bulldogs card. 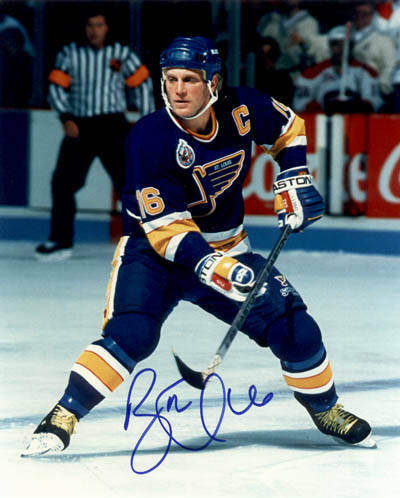 The first certified Brett Hull autograph card was issued in the 1991-92 Upper Deck Hockey set. 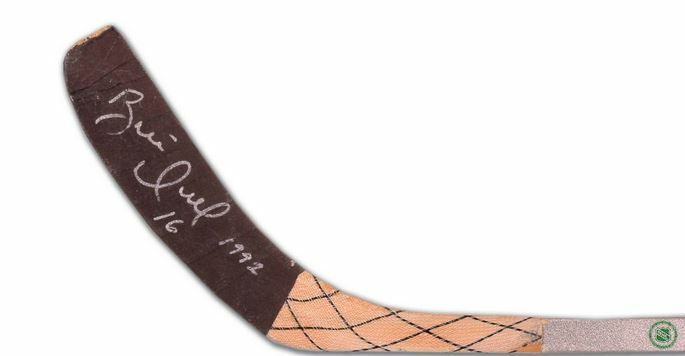 It is part of the iconic Hockey Heroes series and is serial numbered to 2,500. Over the years he has signed for many sets and is relatively affordable given his stature in the game. 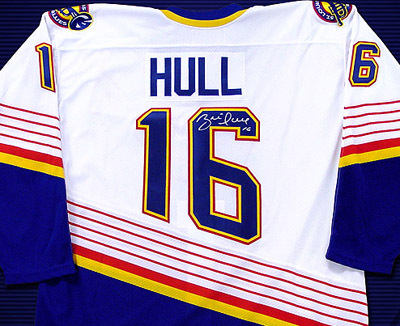 Hull's first game-used memorabilia card was also produced by Upper Deck. It can be found in the 1996-97 Upper Deck Hockey Game Jerseyset. In fact, it was one of the sport's first memorabilia cards. 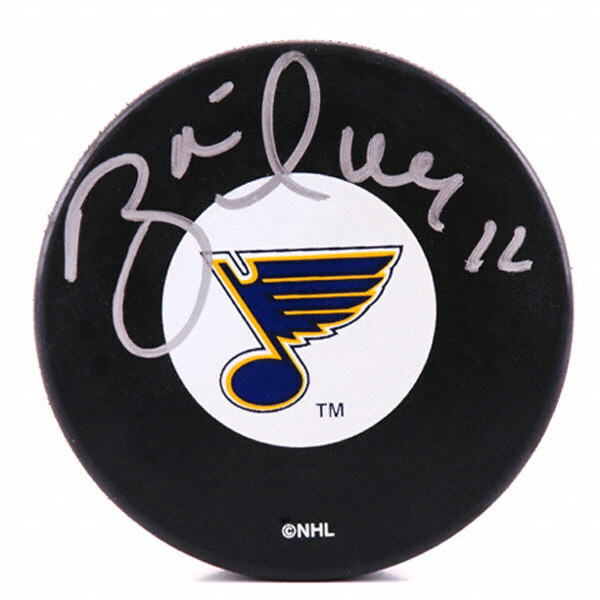 As one of the league's all-time leading scorers, Brett Hull autographed memorabilia sees consistently strong demand. He played for five teams during his career which is another contributing factor to the value of his autograph. He was a fan favorite wherever he played. He has always been a gracious and willing in-person signer. He also participates in organized signing events. Despite a healthy supply of material there is no shortage of fans and collectors wanting to add a Hull signed piece to their collection. Nearly identical to the Topps card, the distinct differences are the logo and the bilingual back. From a collecting standpoint, this is the more popular of the two cards. It routinely sells for more money than the Topps version when in a similar condition. The Topps version of the card was double printed. As a result, its value suffers from the simple economic laws of supply and demand. On the plus side, you can pick up the rookie card of one of the league's legends for just a few dollars. 1988-89 Topps Hockey Wax Pack Brett Hull ROOKIE? Below you will find an example of what Brett Hull's authentic signature looks like. This can be used as a first point of reference for determining the legitimacy of autograph memorabilia, but is not a substitute for having your items authenticated by a well-respected professional autograph authentication company. Some of the trusted sources within the sports memorabilia market include the following companies: PSA, JSA, Tristar, and Mounted Memories. Click on any of the images below to view full size photos. It is defined by the "B" which makes almost, an open heart shape. A small character that resembles a backwards "u" follows." The remaining letters are all illegible. The middle of the autograph displays what looks like an awkward shaped cursive "l."
BRETT HULL 1988 TOPPS #66 AUTOGRAPH SIGNED ROOKIE PSA DNA 10 AUTO "HOF 2009"